I wasn't planning on doing a big party this year but I just couldn't help myself. I picked the theme around Christmas and the timing was perfect. I was able to get Christmas clearance for 70% and since the colors for Strawberry Shortcake are red, green and pink, it worked perfectly. I bought lots of pinwheels in red and green and just added pink ones later one. Saved tons of money that way. Browse the craft aisle, you'll be surprised with the ideas you come up with. Where did you happen to buy the pinwheels? 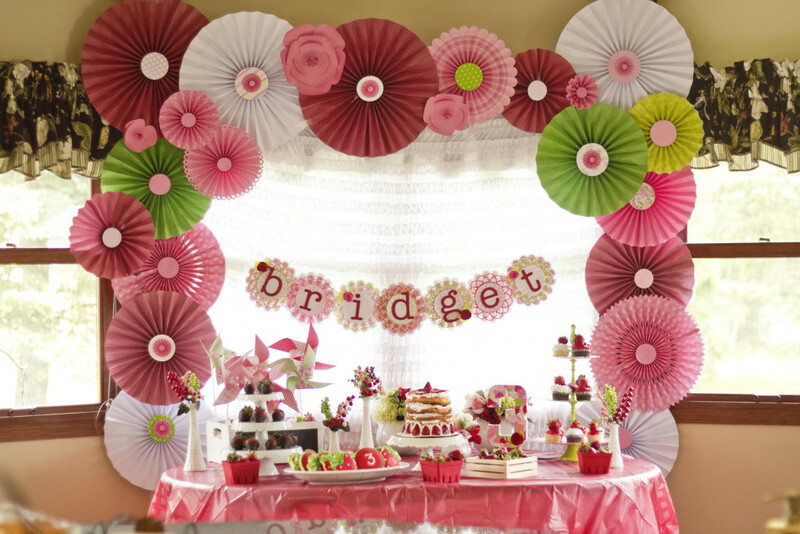 I absolutely love the decor for the Strawberry Shortcake party!